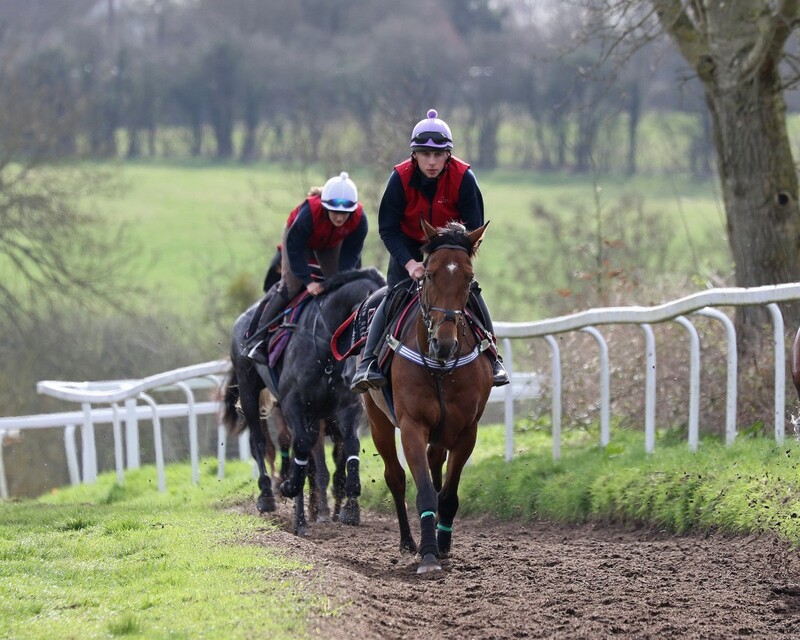 David Dennis Racing is delighted to offer pre-booked private behind-the-scenes stable tours of Tyre Hill stables. 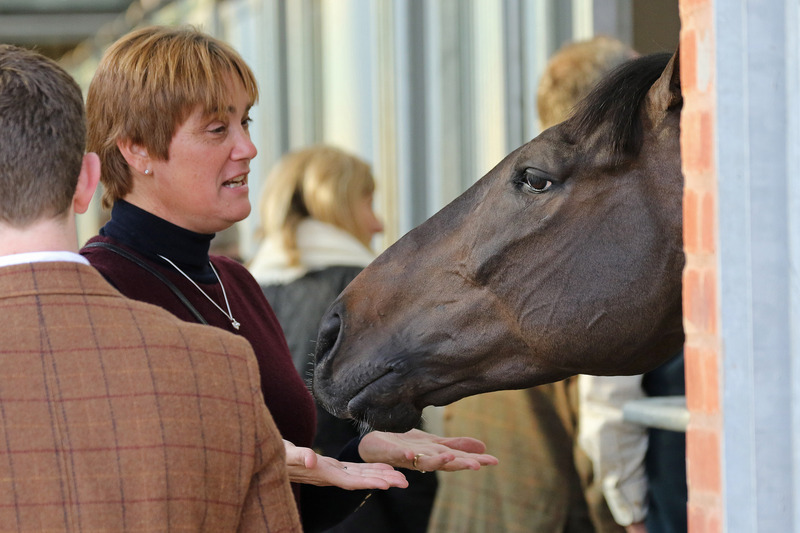 The tours will cost £25pp plus VAT and will provide those attending the opportunity to experience the day-to-day running of a superbly equipped horse training establishment. Arrive at Tyre Hill Stables, Hanley Swan (full address and sat nav postcode will be provided) at 09:00am where you will be met by your host who will explain the itinerary in more detail, enjoy a welcome tea/coffee and meet David*. You will then watch the second lot pull out, warm up in the indoor school and then make their way to the woodchip round gallop. Here they will canter before making their way to the polytrack gallop for more strenuous work. 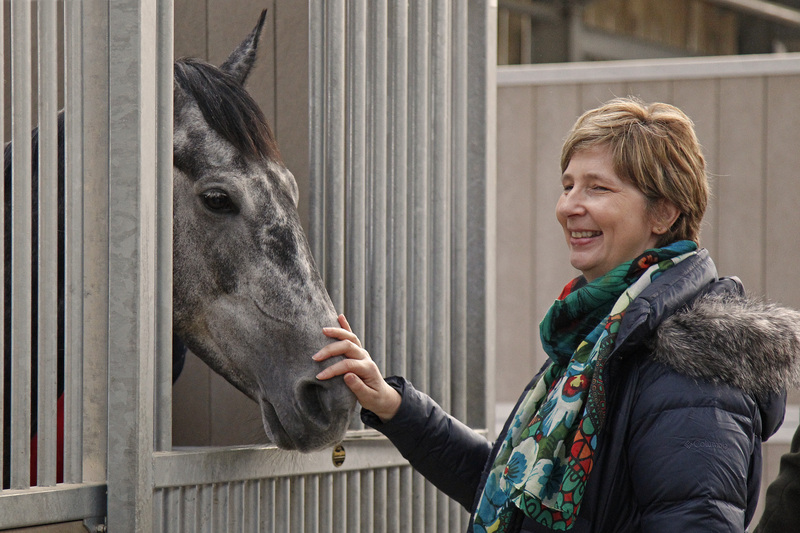 We will then return to the yard where you will have the opportunity to tour the stables and meet our horses. Some may be on the rota to swim, have a session on the equine treadmill or even a schooling session may be planned, it very much depends on the schedule of the day. Either way you are sure to find the visit enlightening and a real insight in preparing a horse for the racecourse. At the end of the tour enjoy a welcoming cup of tea or coffee and a pastry along the opportunity to discuss the morning, before departing around 11:00am. It is an ideal Birthday/Christmas present for a friend who loves racing or indeed an excellent opportunity for a Company to attend with staff/clients who have an interest in Horse Racing. There will only be a maximum of 6 people on your tour, so a personal experience is guaranteed. We have the Swan Inn a mile from the stables which has accommodation, so if you would like to stay over the night before, visit for an early breakfast prior to the tour, or go for lunch after, we are more than happy to arrange this for you. *Whilst David Dennis will make every effort to attend every stable tour, circumstances do change and his presence is not guaranteed. Please note you will be watching the horses alongside the gallop so please dress accordingly – warm clothing and waterproof footwear. The upcoming tour dates are ..
Been meaning to e-mail you since last week ! Just wanted to say a big thank you for our stable tour last week. My dad loved it and although it was supposed to be a treat for him I haven’t stopped talking about it since ! Thank you for making us so welcome, it exceeded my expectations of how much you would share with us, and getting to meet the horses was great. I’m trying to work out how we can join the racing club now ! !